Homesteading is simple right? 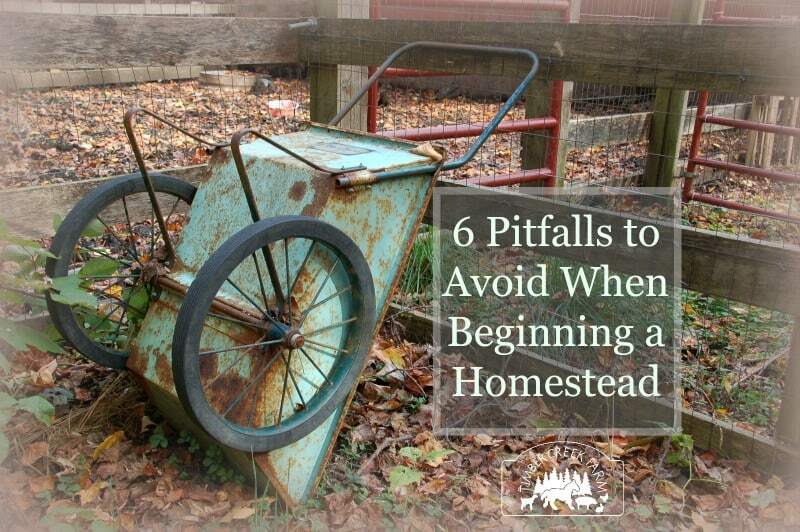 So what could possibly be the pitfalls in a homesteading life? Merriam Webster defines pitfalls as a trap or snare, specifically something that is partially hidden so the danger is hard to recognize. 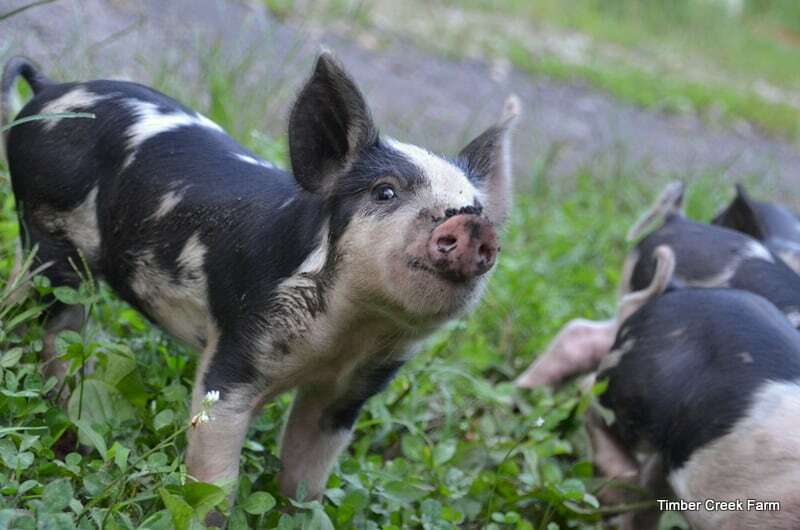 Starting a new homestead can be an overwhelming experience. We start out full of hopes and vision. We look for a better quality of life through homesteading. Then the reality of bad weather, escaping animals and loss sets in. There is so much homesteading advice on the internet but how do we boil it all down to what we really need to focus on as we start the journey? What homesteading advice will help us avoid the pitfalls in a homesteading life? Let me share some basic advice that is often overlooked by homesteaders trying hard to get to a simpler way of life. First,this life may not really be simpler. It may be more rewarding, better for your health, lots of hard work, and bring you back in touch with the meaning of life. But, simple isn’t always the word that comes to mind when I think of my life on our farm, It’s hard work and unless you have the money to hire lots of man hours (kid hours, farm help etc) the work will be exhausting at first. Especially if you are not used to doing a lot of heavy physical work, carrying even five gallon buckets full of water will seem very taxing. The advice- Keep at it and slowly build up your stamina and strength. Trying to clean a barn full of stalls, a chicken coop, and then tend a vegetable garden all in one day is possible but you need to work towards that goal or you might hurt your back! Our bodies are remarkable machines when treated right and we can rebuild muscle and strength! Even if the nearest human lives a few miles away, build a good relationship with them. They will be the first person to offer help when your milk cow wanders off, or your pigs break through the fencing. You may not get to the point of having barbecues together but you do need to be there for each other on many occasions. Also, if you are new to homesteading, growing vegetables and raising animals, there is no greater resource than an experienced farmer or homesteading old timer to guide you with tips that actually work. There are many groups online these days too. 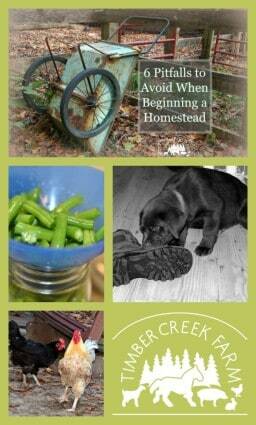 Many offer helpful advice regarding all things homesteading. It may take time and a few hits or misses to find the right group for you, but it is worth the effort to connect to this growing community of online homesteaders. Fences – Oh No! The Goats are Out! 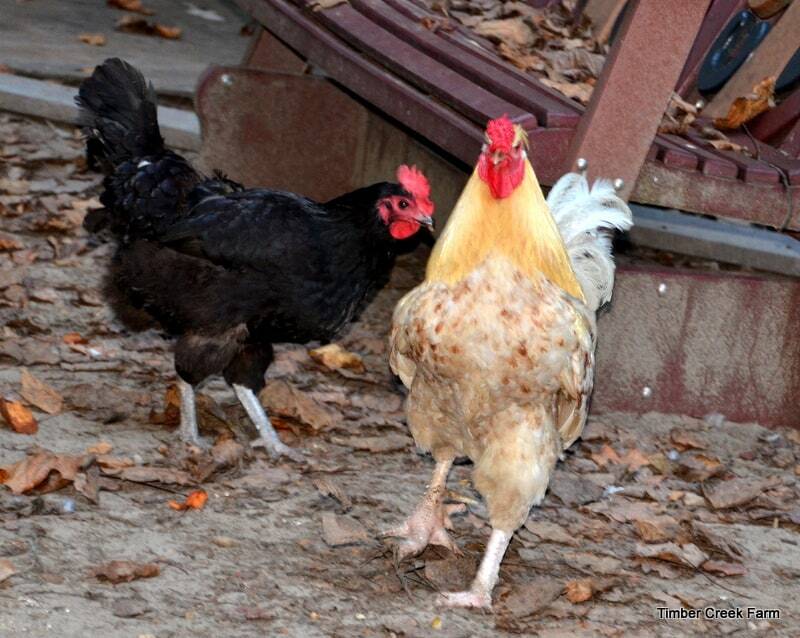 Nothing can derail a homestead dream like animals escaping their pens and damaging a neighbor’s property. Not everyone is going to be understanding. Some will go to the extreme of bring a lawsuit against you. Just the thing to cause pitfalls in a homesteading life.The old saying that your fence should be horse high, pig tight,and bull strong, is a good way to start this discussion. I would add my own. IF you raise animals, they will always be trying to escape and will succeed from time to time. Lessen the risk as much as possible by building the right fences for the job. Learning to build proper fencing is very important. We currently use our old cow field to graze the sheep. The problem is that the cows could not fit through the gaps in the three board fence. However, the smaller sheep can and often do. They jump right through the opening because the grass is always greener on the other side of the fence. We are in the process of adding more boards to keep them contained. Until that is completed someone needs to be shepherding them when they are in that field. Pigs require an electric line surrounding the inside of the fence line. It should be placed down low to the ground because pigs root their way out of a fenced area. Goats will jump low fences. These are just some examples of the differences that each species requires in the topic of fencing. Can you purchase fire insurance for the buildings on your homestead? What about the old farmhouse? Is it insurable? I never even considered this question until recently a friend lost her barn from an accidental fire while burning leaves on the property. They did not have insurance because the home was very old and in their state, the insurance companies have limits on how old of a structure they will insure. Be sure you investigate this before you buy. Luckily no animals were hurt in the fire and they will be able to rebuild the barn but this could have led to a much more tragic ending. Cob webs accumulating near wires and electric light bulbs is also a fire hazard. Many people each year lose their chickens and the coop to a fire from hanging a light bulb in the coop. I won’t get into the whole discussion about whether or not chickens need heat in the coop in this discussion, but please make sure that you use utmost care when mixing electricity with wood and dry straw in a building with animals. Needless to say your clothing style will change a good bit after you spend time building up your homestead. Dressing in layers is always good advice as you spend time throughout the day tending to the chores. Chilly mornings lead to warm afternoons and then back to the chill of evenings as the sun goes down. Dressing in layers enables you to stay comfortable throughout the day. I recommend natural fiber fabrics for clothing. Cotton and wool are my choice in clothing because they breath, and wick away moisture so I don’t end up wearing damp clothing as the day cools down. Trying to always look fashionable while taking care of the homestead is a pitfall in a homesteading life. Not wearing sturdy shoes is an invitation for a nail to go right into your foot. (yup, been there done that). Forget the fashion wear and dress for the job. As you start to harvest your own food from your homestead you will want to process it and preserve it for later. There is no one standing watch in the kitchen as we prepare our foods and jars for canning. We have to be accountable to ourselves on the topic of food cleanliness and safety. 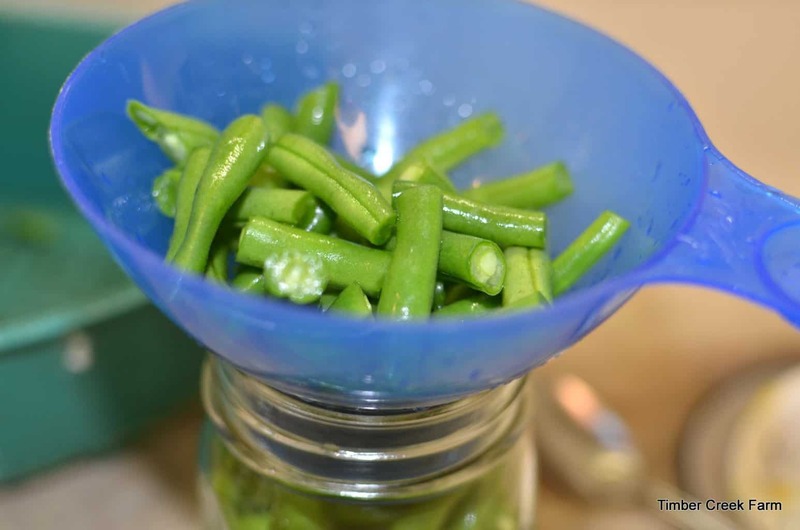 There is nothing hard about the process of canning and preserving food. However, following the recommended guidelines is very important to your health! The main pitfall I have encountered in canning for the winter is too much all at once. If you grow a large garden that may be unavoidable. If you are purchasing produce from a local farm or market, you can pace yourself. Don’t buy two bushels of tomatoes at once. They probably won’t run out of tomatoes. Some of the early vegetables are a bigger risk but they also keep a little longer before being canned or cooked. Peas and lima beans and beets aren’t that plentiful at the markets around me, but beets will wait patiently for a week in the refrigerator while I process and freeze the peas and lima beans. If you aren’t sure what vegetables to buy that have a shorter season, ask the farmer at the market. This may seem like odd advice but really it has saved the day on more than one occasion. Saving what might be thought of as debris in some situations may give you the materials you need to fix a fence (boards, pallets), make a lead line for an animal (baling twine), prepare a place for a rejected baby animal or a make shift infirmary (dog crates, old towels). One pound coffee cans are great for storage and for feeding scoops. Self sustaining living has saved the day on our farm on more than one occasion. 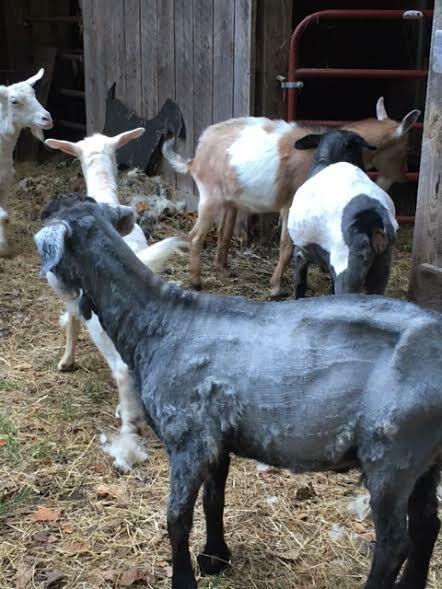 We have reused baling twine to repair a broken board, reused feed bags to insulate animal housing from drafts, reused feed bags to sit on next to an ill or injured animal, reused nails, pallets, wire fencing and many other items. Many homesteaders have learned the art of seed saving. When you plant heirloom varieties of vegetables, the seeds are viable for replanting. This is not true of hybrid varieties. Harvesting tomato seeds, from your delicious Black Krim tomatoes will enable you to enjoy them year after year with no additional cost. Harvesting seeds from cucumbers, squash, peppers and more, will save you money! Saving and storing items can also be pitfalls in a homesteading life. When the amount of stuff accumulated “just in case” becomes a haven for rodents, and the danger of things falling on your head is a real threat, it’s time to re-evaluate how much stuff you need to save. My advice is always to start small, enjoy the journey and seek help when you have a problem. The path to a life of rural living is full of pitfalls in a homesteading life. Take each one as it comes and learn from it. Soon you will be encouraging a friend in their new journey through the pitfalls. This is wonderful advice. Thanks. I just started a backyard homestead this year and I wish I had read this before starting. I finally got a home built for the chickens (learned my lesson, make sure you have the coop before the chicks). Now I am in over my ears with tomatoes that I grew and I have no time to make my salsa with them since I am trying to get the plums and pears canned before they go bad. Next year I am going to get together with a friend and we will do our canning together so we can get more done quickly. Thank you for the useful tips. I am going to save my feed bags to insulate my coop this winter now, what a great idea! Your plums and pears come at the same time every year, so time the tomato planting/ripening to come a week or 2 later, giving you more time to put up the fruit. A garden planner may help you in the first few years to keep track of when everything will be ready for harvest. It can really be overwhelming when you have bushels of fruit, boxes and bags of veggies to process all at once, while still feeding the chickens and taking care of everything else. So timing is everything. Animals are funny, and when I started to feed them a bit more, they figured out it wasn’t worth it to try to leave: what they were getting was WAY better than what they saw on the other side! However, newborns will try and, because they are much smaller, may actually succeed. When using electric fencing, the lowest wire must me above what you allow to grow, as touching vegetation will lessen its effectiveness. So what is ok for calves, will NOT be good enough for say, lambs or especially piglets! Great post, and thanks for all the hard work you do on your blog! Animals are funny, and when I started to feed them a bit more, they figured out it wasn’t worth it to try to leave: what they were getting was WAY better than what they saw on the other side! However, newborns will try and, because they are much smaller, may actually succeed. When using electric fencing, the lowest wire must be above what you allow to grow, as touching vegetation will lessen its effectiveness. So what is ok for calves, will NOT be good enough for say, lambs or especially piglets! Thanks for this post! We started homesteading this year, and I definitely discovered some of this along the way. I sent this to my S-I-L because they are hoping to get started in the next year or so if they can find the right place. I’m so grateful that we have some friends in the area and sweet neighbors who we know will help if there is ever a problem. I’ve always been sort of a “practical clothes” girl, but we were out of the country for 8 years, so my wardrobe has reverted to simpler things, and I invested in good boots the first chance I got. It was so worth it! And the whole canning thing is still fairly new to me, so we’ve been trying to break it into more manageable chunks, even if it means giving foor away because we can’t deal with it. I also love the look of your site, I’ll be sure to check out more! If you can’t get to all your jelly making you can just cook the fruit and freeze for later use. Sometimes when I don’t have enough time to can tomatoes I just make juice. You can cook it down some and use in recipes as well as just using juice. I have helped a neighbor by canning her extra veg. and sharing with her. Great addition to this post. Thanks so much! Great Advice! Now that we are getting to that (ummmmm) retirement age, we are changing a few ways we do things but increased the garden size. It?s never to late to learn. I do however think we will be bringing back goats to help with brush control. You?re fencing advice is perfect. When we lived in the northeast next to a dairy, their donkey let all the cows out of the barn. We woke up to our house surrounded by Holsteins. Amazingly enough, out of a 3/4 acre garden we only lost a few plants. 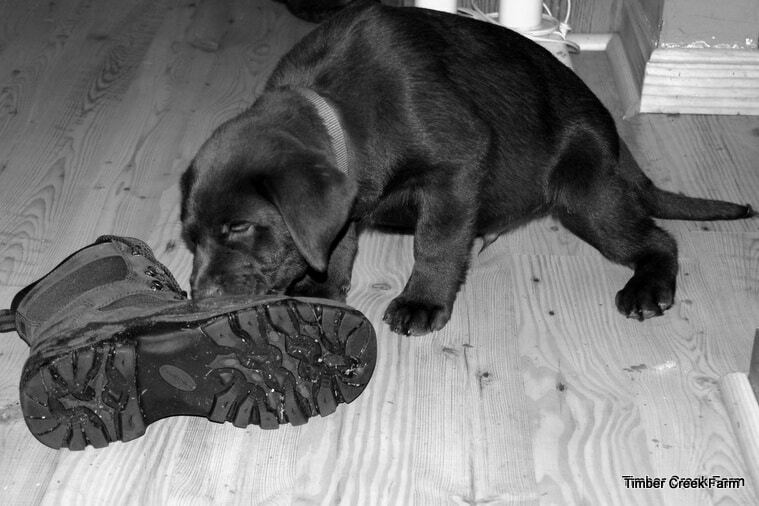 How they missed stepping on them we have never understood. I guess that’s a funny story looking back but not funny at the time! Thanks for commenting Charlene. I am bookmarking your page and have subscribed your emails, I think this is among the most vital information for me. Really supportive post full of great ideas for starting a homestead. I can’t wait to make more progress in becoming self-sufficient. It’s great to live life on your own terms. I must appreciate living such a life as long as you are not hurting others you must live it in a way that makes you happy. This post made me feel so much better about my homestead efforts.